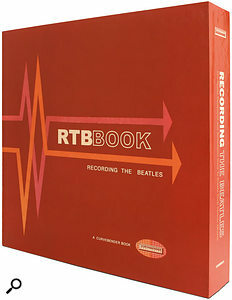 Could this be the definitive guide to the Beatles' recording sessions? The KLF, in their book The Manual (How To Have A Number One Hit The Easy Way), say: "You will find engineers everywhere trying to impress you with the fact that Sergeant Pepper was recorded on a four-track. This is of course as relevant as the fact that no JCBs were used in the construction of the Great Pyramid." Much as archaeologists have spent no end of time investigating the mechanics involved in building a pyramid, Kehew and Ryan have made it their business to find out everything there is to know about the the methods by which the Beatles' music was recorded. Of course, given that this took place considerably less than 4000 years ago, and that most of the people involved are still very much alive, their task was probably a great deal less speculative than that of the archaeologists. After all, you're going to get much more definite answers if you can talk to the people involved and look at the equipment they used than you will if you're sitting around looking at a 40-ton block of stone and trying to work out how a bunch of guys in loincloths, with no JCBs, managed to move it about and use it to create pleasing geometric shapes. 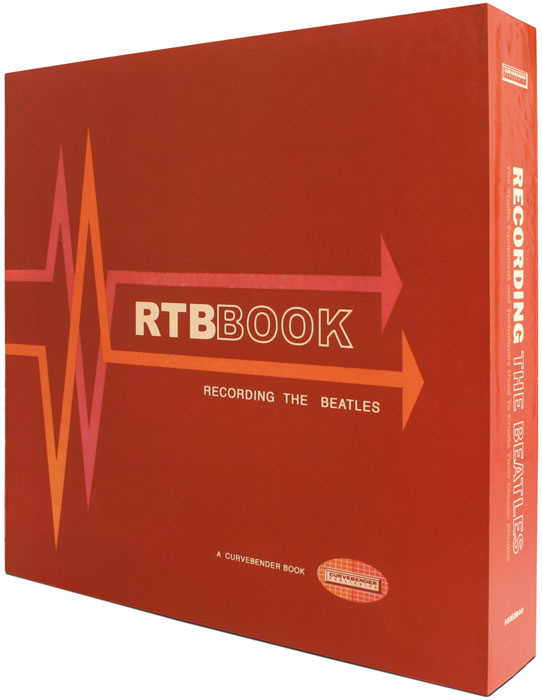 Recording The Beatles is a huge book, and there's a simply awesome amount of information collected within its 500+ pages. It is the result of over a decade of research, in which Kehew and Ryan tracked down and interviewed as many ex-EMI staff as they could find, located and photographed examples of nearly every piece of studio equipment in use at Abbey Road between 1962 and 1970 and spent countless hours investigating the contents of EMI's archives. The book is divided into four sections. The first looks at the design and construction of Abbey Road itself, and at the different roles of the various studio personnel. The second section is about recording equipment, and features an enormous collection of highly detailed (and clearly labelled) photographs, as well as a wealth of information about each piece — much of it provided by the people responsible for using, maintaining and, in some cases, actually building the equipment. Section three follows a similarly detailed format, but looks at effects and instruments belonging to Abbey Road and also at other studios used by the Beatles during their career. Section four is about the actual production of the Beatles' records. There is a chapter for each year from 1962 to 1968, and a joint chapter for 1969 and 1970. Each chapter looks at the general techniques being used during that year and also features 'A Closer Look' sections which explore specific songs from that year in greater depth. The sheer volume of information doesn't let up here either, and the section is awash with 3D diagrams of studio layout, track sheets, photographs to show things such as drum mic placement, and lists of the equipment and instruments used during the sessions. I expect that this last section will generate the most interest among prospective readers — and it doesn't disappoint. But it's the preceding sections that really make it work: all of the background information places the content of this section in context, and gives you a clear understanding of how these records were actually made. Apart from the stunning amount of data contained in this book, the other striking thing about it is how fluently written and well laid out it is. Given the amount of technical facts here, you might expect a book that is rather dry in tone, but this is simply not the case — largely, I suspect, as a result of the authors' boundless enthusiasm for their subject. While you could use the book as a work of reference — something to be dipped into at random or to answer a specific question — I'd be surprised if most readers did not end up going through it from cover to cover. It really is that enjoyable. Many of the techniques and processes we take for granted in the modern studio were pioneered by the people who recorded the music of the Beatles. This book gives a fascinating and unique insight into how they worked, how their equipment worked and how they used it to create not only the records we know so well, but also music recording as we know it. Kehew and Ryan should be immensely proud of what they've achieved here: a vast, in-depth and amazingly well researched document of recording history. Recording The Beatles is a feat which is surely on a par with working out how to build a pyramid with a less than adequate number of JCBs. Recording The Beatles by Brian Kehew and Kevin Ryan (ISBN 0978520009), $100.